Nestled in the National Forest, this Don Woods (R.I.P.) 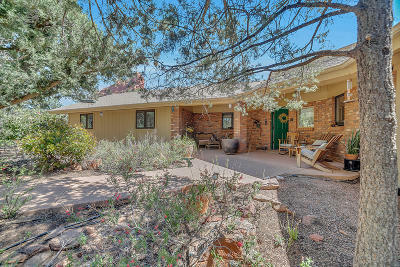 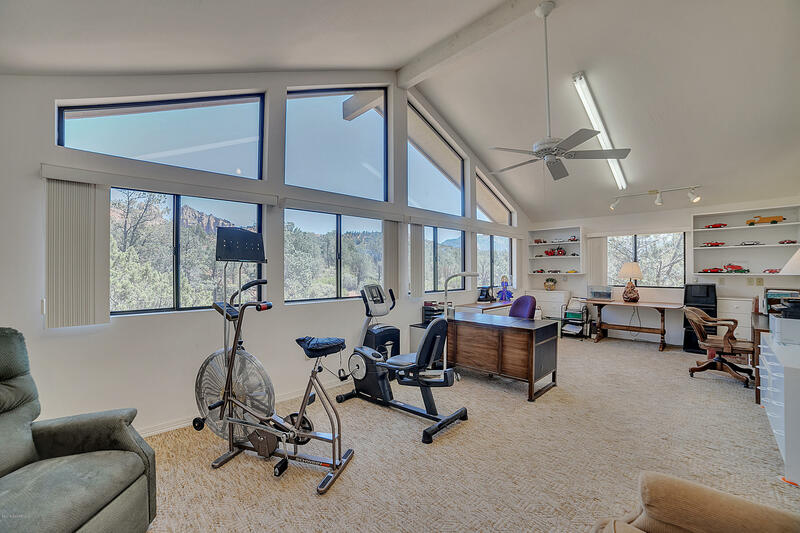 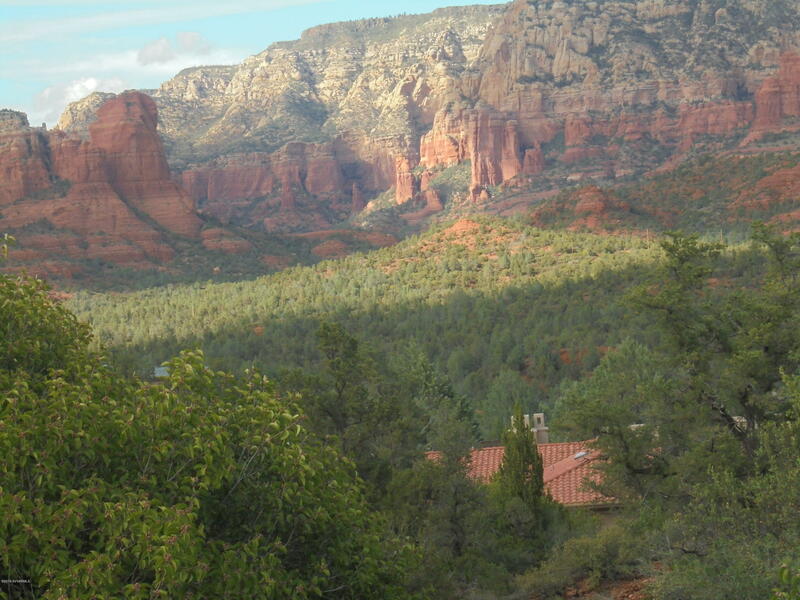 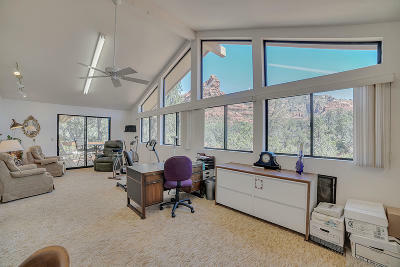 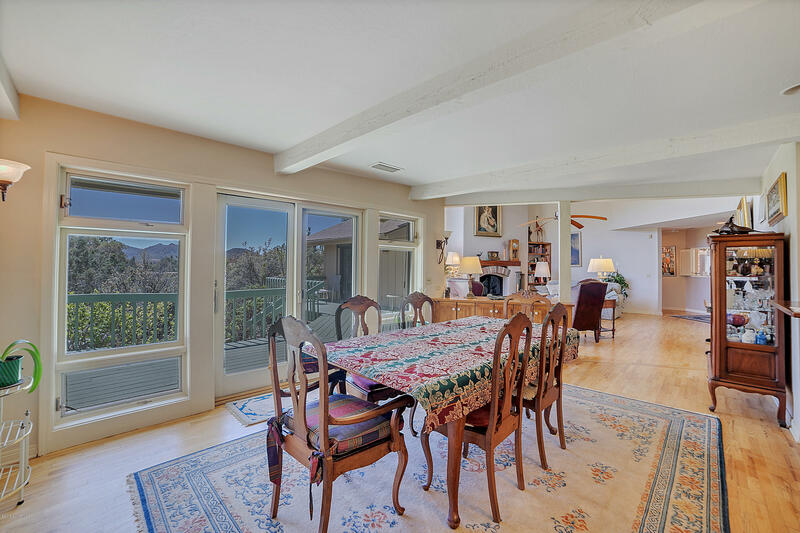 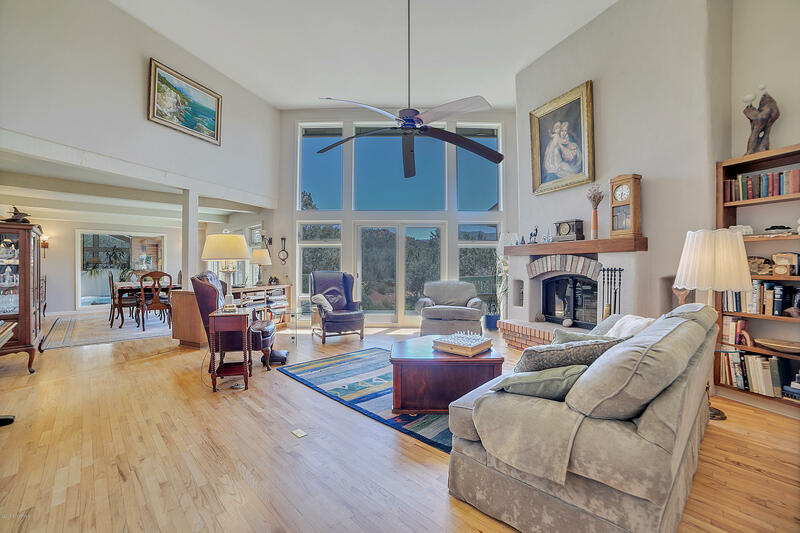 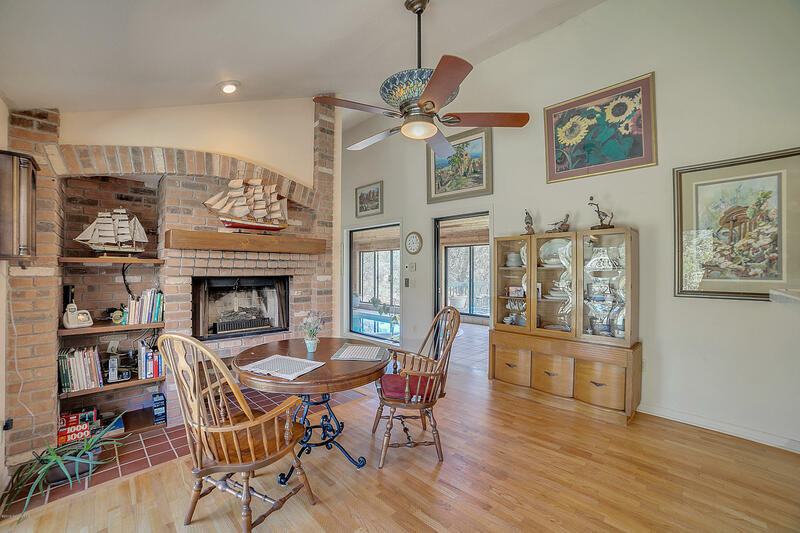 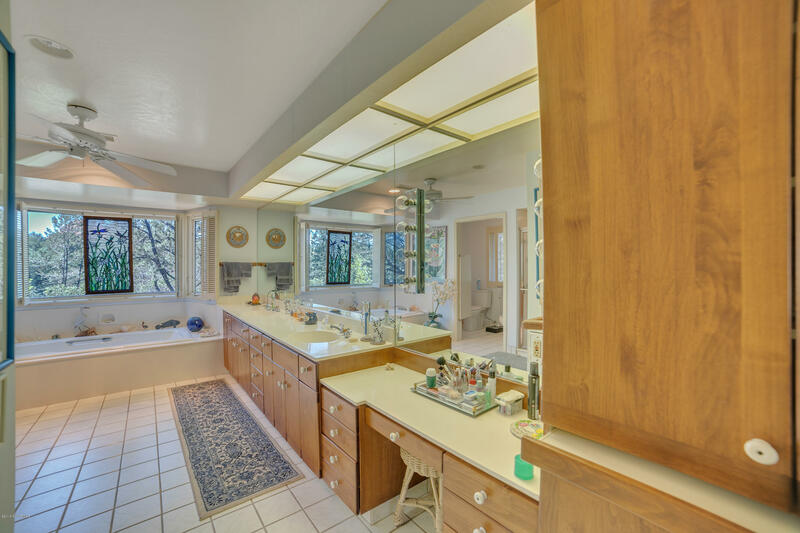 house has Sedona personality and a roomy, country feel. 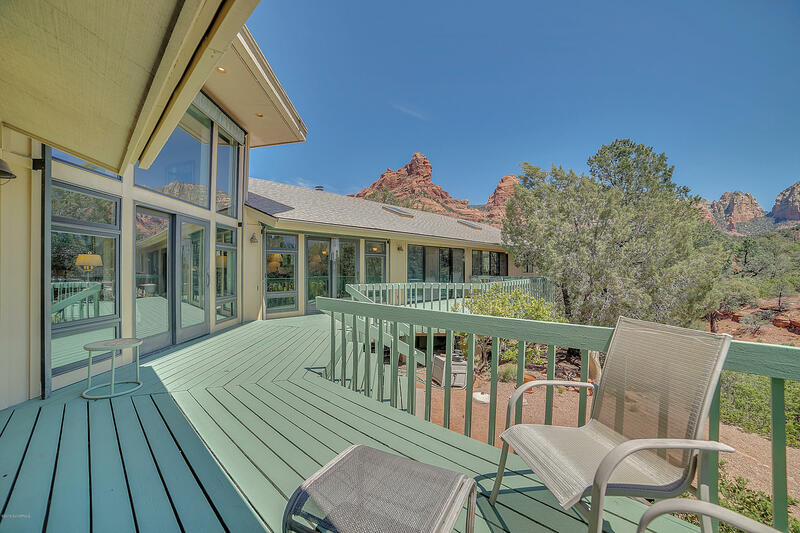 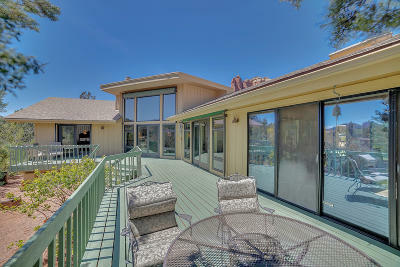 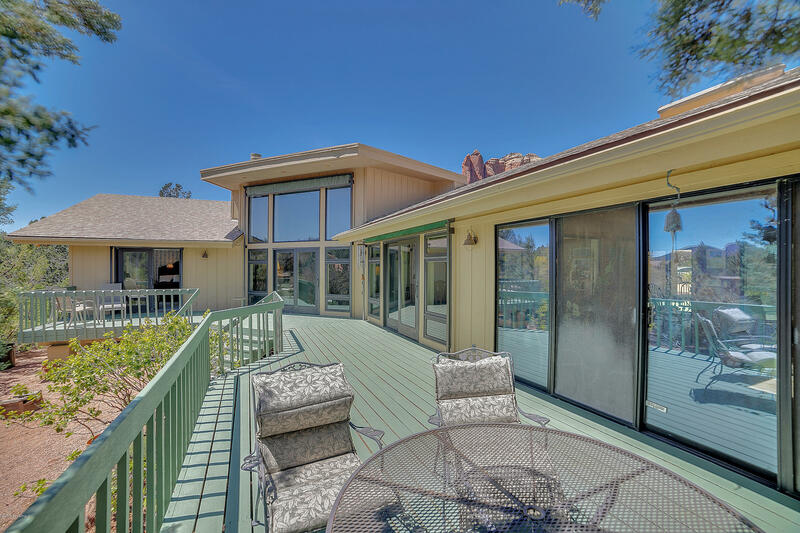 Private decks on three sides give gorgeous views all day. 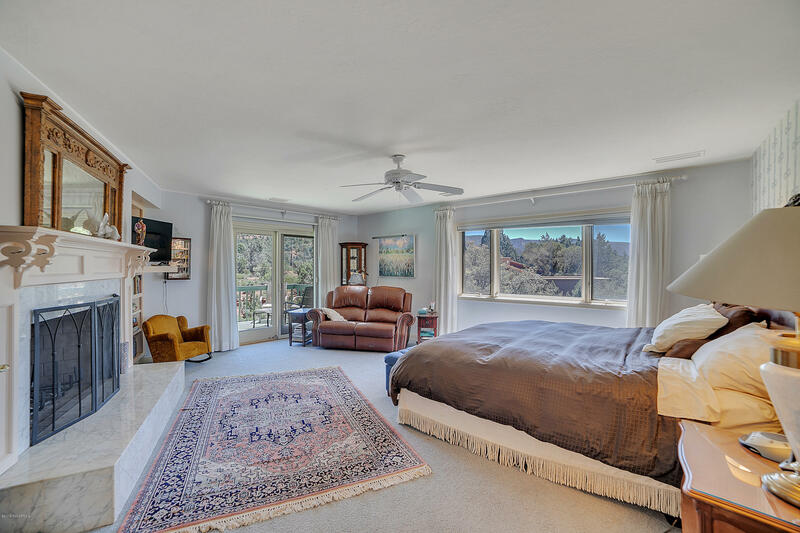 There is a guest wing that would be perfect as an in-law suite with its own bedroom, bathroom, living room, and kitchenette. 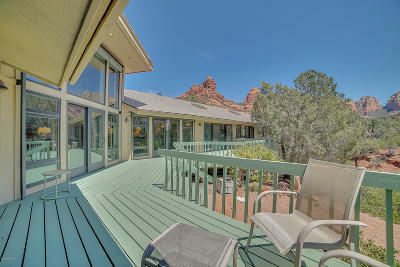 With hiking trails right at your doorstep, this house is perfect for guests and families year-round. 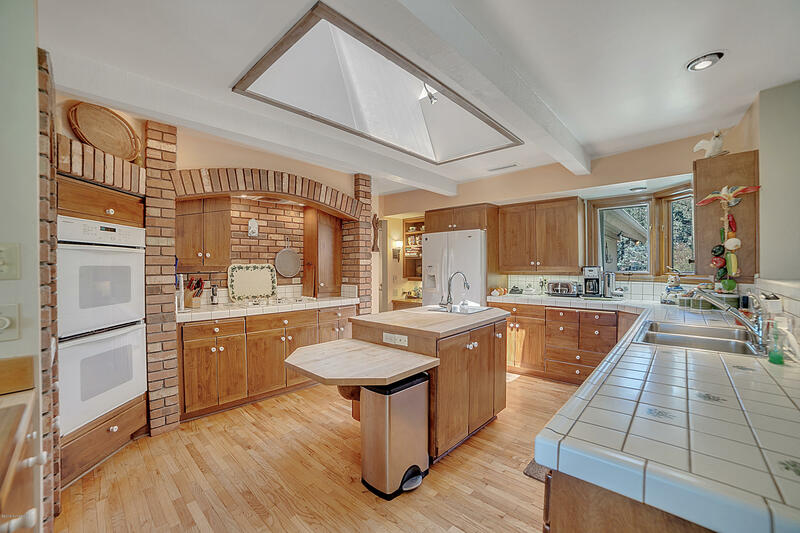 The large, gourmet kitchen features a butcher block island with a prep sink and second disposal, double oven, deep sink, and lots of counter space with six large pull-out prep tables. 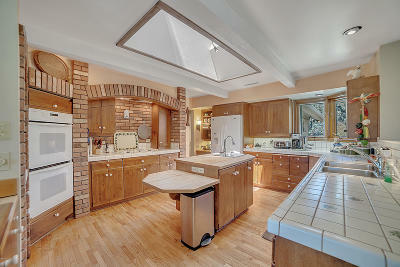 The island also has a low counter for wheelchair access or dough kneading! 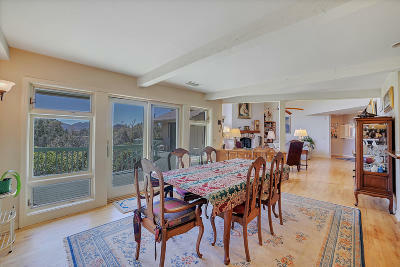 Kitchen features shelves for your 131 cookbooks plus a walk-in pantry. 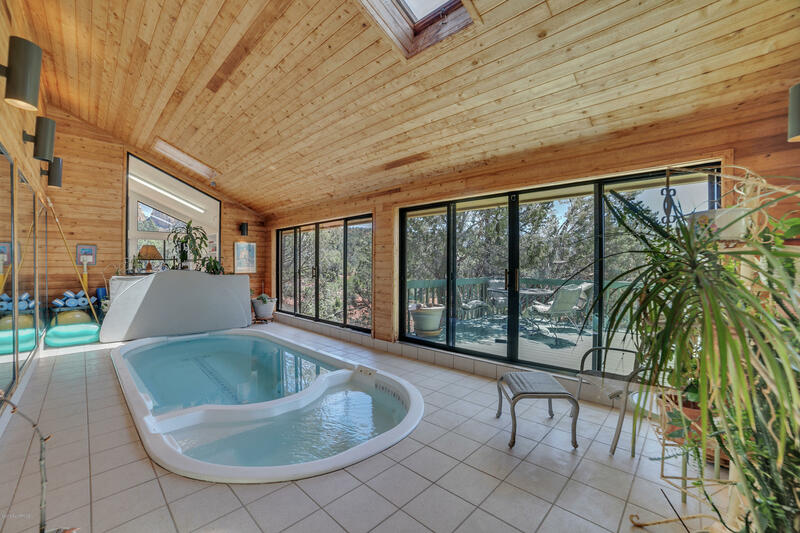 Round out your day in the salt water indoor endless pool and spa.